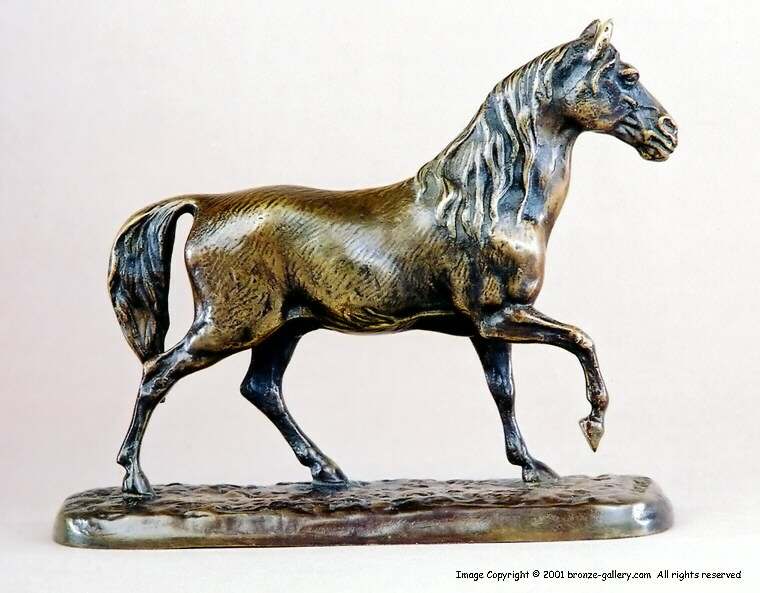 This small model of a Stallion is finely detailed and shows the horse trotting proudly. It was first sculpted in 1846 and this example was cast some years later in the mid 1860s. It is illustrated in the book Animals in Bronze by Christopher Payne on pg.289. 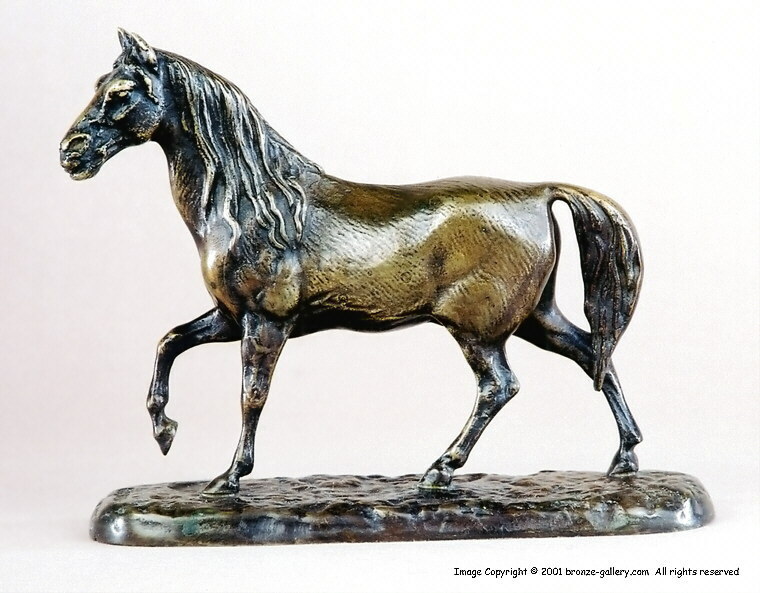 Pierre Jules Mene is considered to be the finest sculptor of horses and this beautiful cabinet bronze would make a fine addition to any collection of French bronzes. Miniature bronzes are quite rare because many were given to children as toys when they went out of favor in the early 20th century. 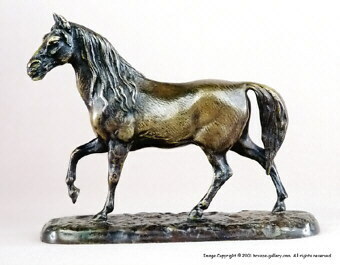 This bronze is probably a model of the Arab Stallion Ibrahim which was done in a much larger size and shown with the horse standing at attention. The long mane and head are very similar to Ibrahim but this model was only done in this size. The bronze is finished in a warm brown patina.